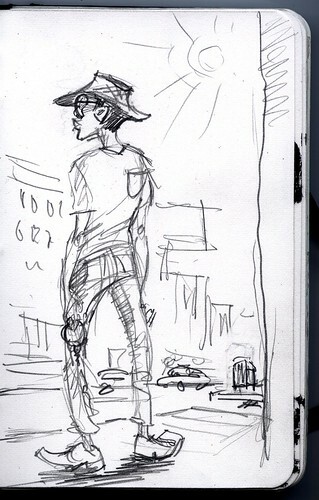 I saw this guy on Pico Blvd the other day. I don’t know if he realized his shirt was on backward. He was carrying a big ring of keys and seemed a little lost. I hope he found his way home.